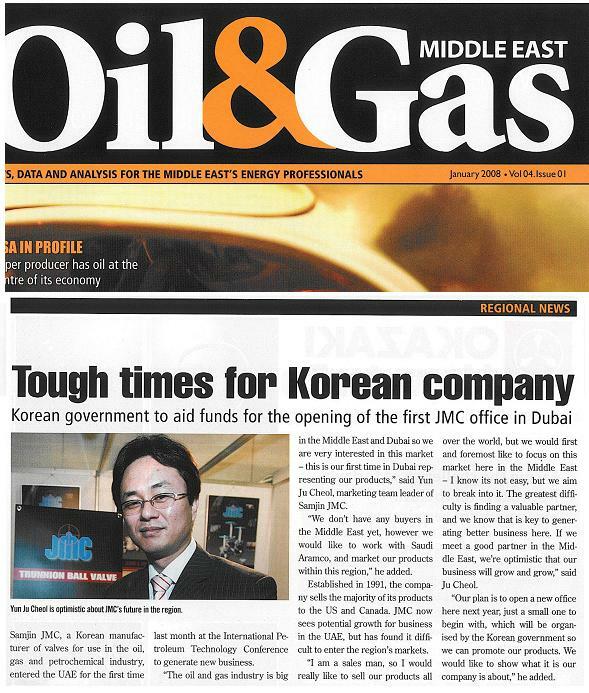 Samjin JMC was appeared in the January issue of Oil&Gas Magazine. Especially Mr. Yun, who is the team leader of marketing team, had an interview during OGS in Dubai. He said that Samjin JMC is really interested in the middle east market and plan to bolster its operational capabilities in this market.